We are very excited to be hosting the Salters’ Festival of Chemistry tomorrow (13 June). More than 60 11 – 13 year olds from 16 schools will take part in practical events and will use their analytical chemistry skills to solve problems. They will also be split into teams to compete in a ‘University Challenge’. All students will be awarded individual prizes and certificates and the winning teams will be given prizes for their schools. 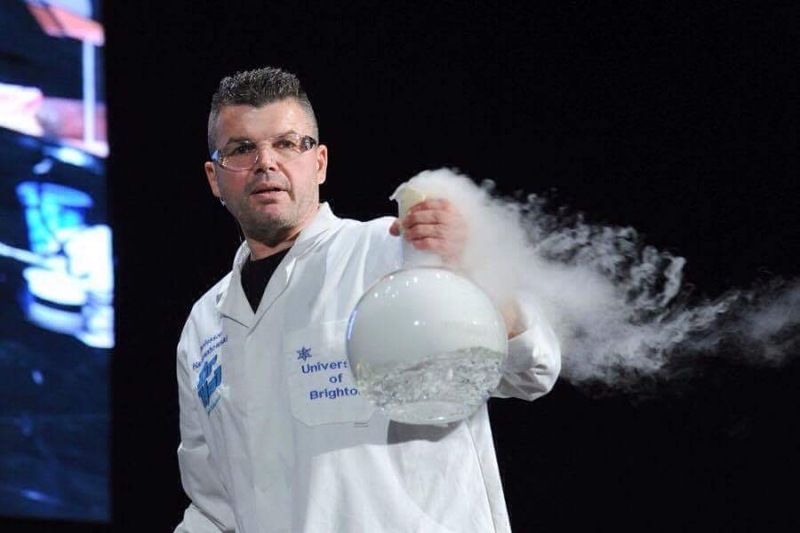 As part of the festival, Professor Hal Sosabowski, Professor of Public Understanding of Science in our school, will be giving a lecture using liquid nitrogen, liquid oxygen and solid carbon dioxide. The festival is being held in partnership with the Royal Society of Chemistry, one of 49 being organised in universities and colleges around the UK and Republic of Ireland. The festivals are an initiative of The Salters’ Institute, whose aim is to promote the appreciation of chemistry and related sciences amongst the young, and to encourage careers in the teaching of chemistry and in the UK chemical and allied industries.